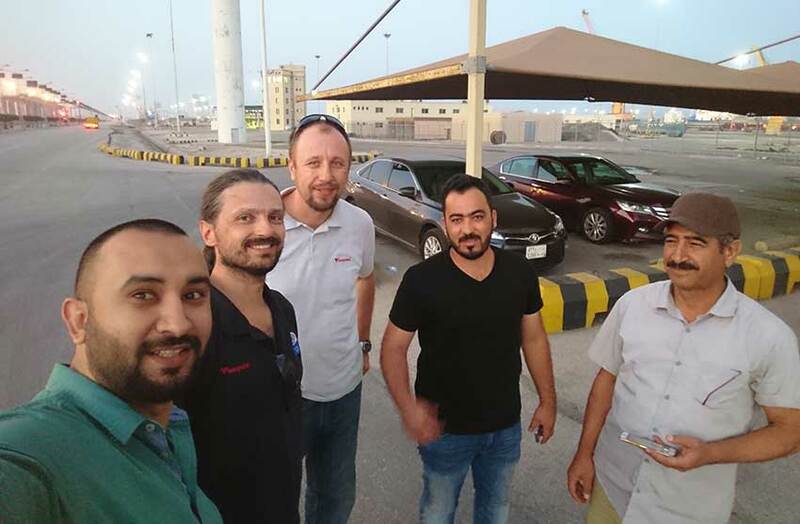 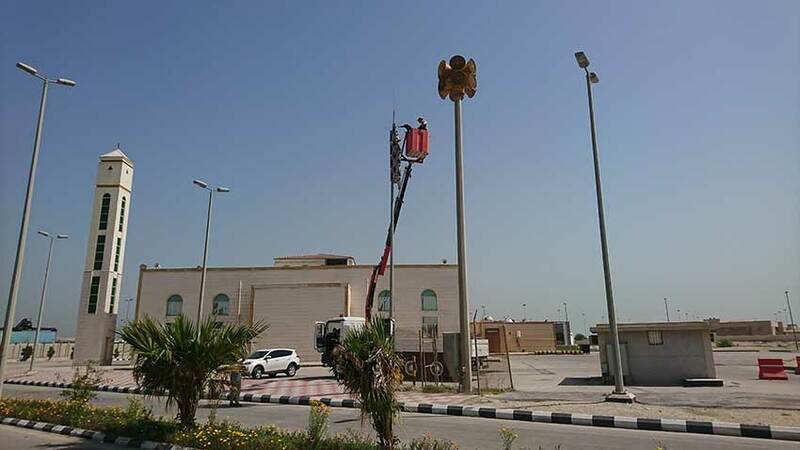 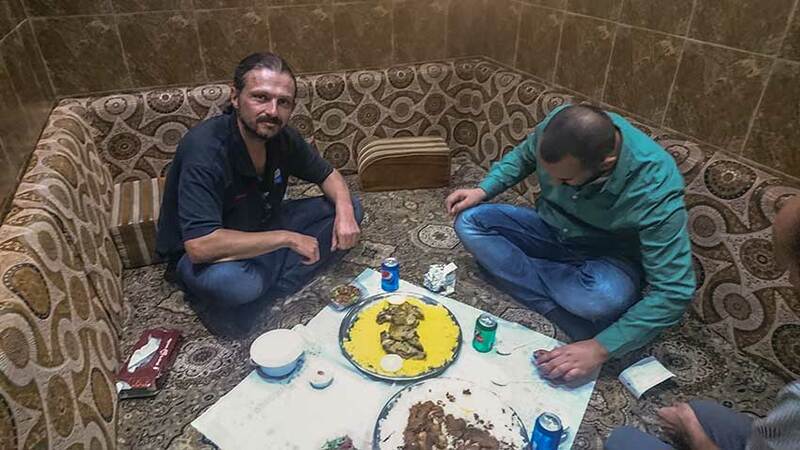 In March, 2018, Telegrafia’s workers travelled to Dammam, Saudi Arabia, to install a warning system. 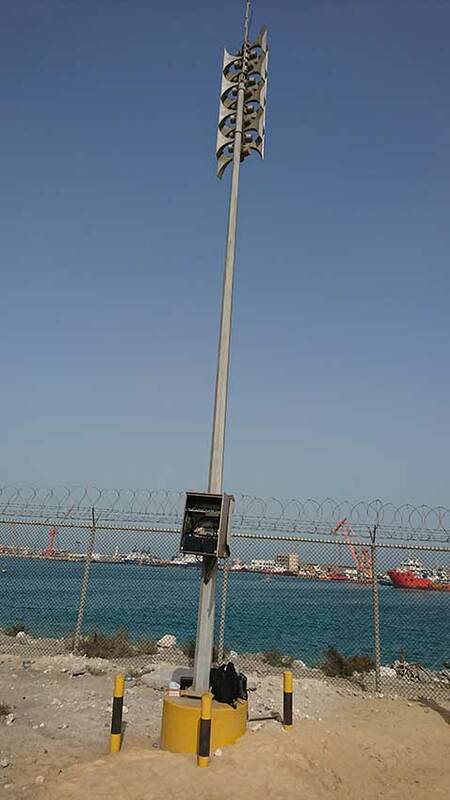 The system consists of seven Pavian electronic sirens, one LCU15 local control unit, and the Vektra® software. 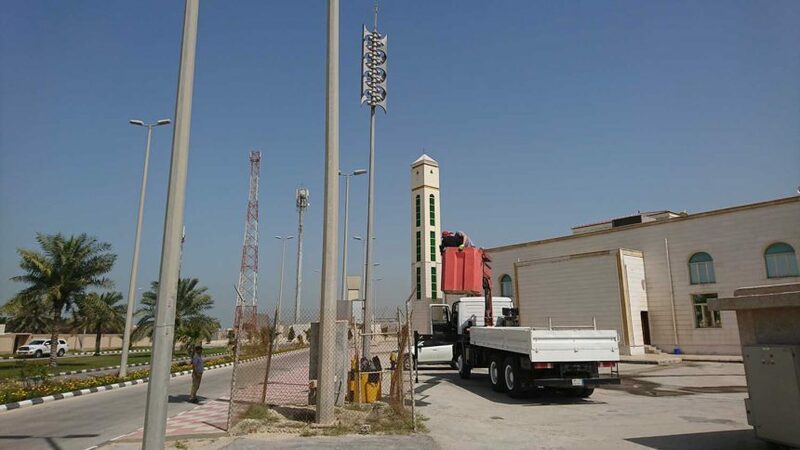 Dammam (Arabic: الدمام‎ ad-Dammām) is the capital of the Eastern Province of Saudi Arabia and the sixth largest town in the country, after Riyadh, Jeddah, Mecca, Medina and Taif. 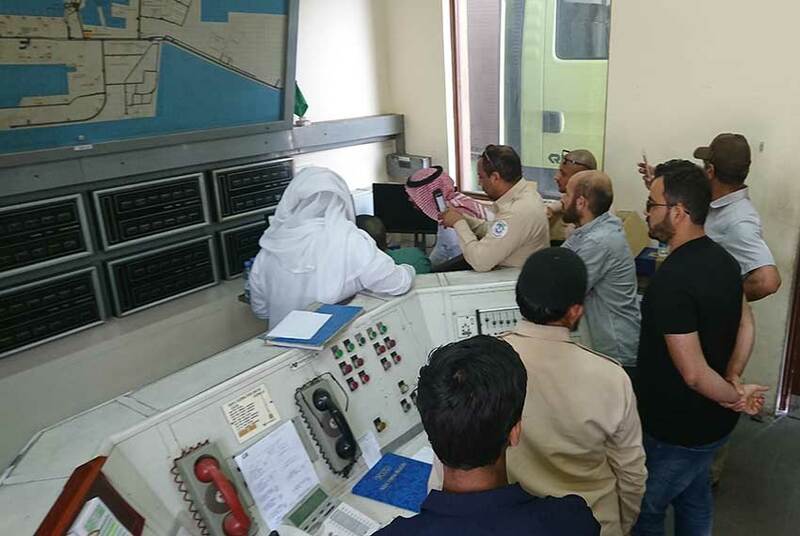 The King Abdul Aziz Sea Port, located on the coast of the Persian Gulf, is the second largest and second busiest port in Saudi Arabia.